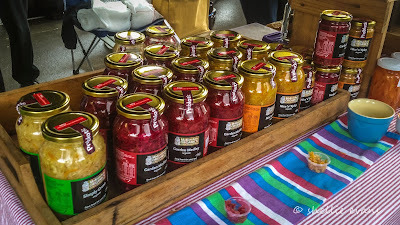 Mum is not the only family member who has a regular stall at a market (as mentioned in the last blog post). 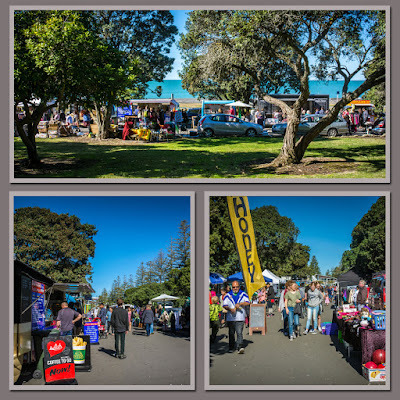 David's son Peter has a stall at the Tauranga Farmers Market which is held every Saturday morning in the grounds of Tauranga Primary School on Cameron Road. Pete can be found there most market days selling his probiotic products and often with his little helper- our granddaughter Maddie (7), by his side. 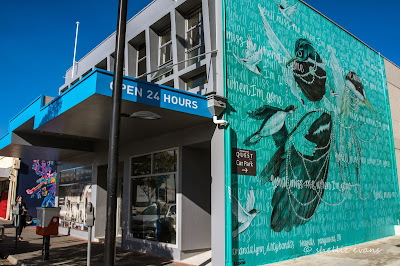 We called in to say goodbye last Saturday morning (with only my phone to take photos, so excuse the quality) and unfortunately Maddie had already been and gone for the day. 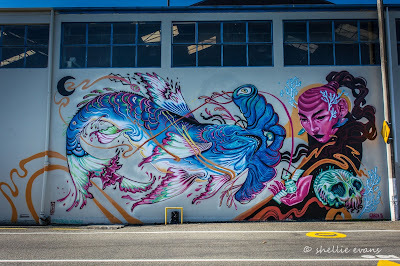 You can see a photo of her on the stand in the Market's latest newsletter here. 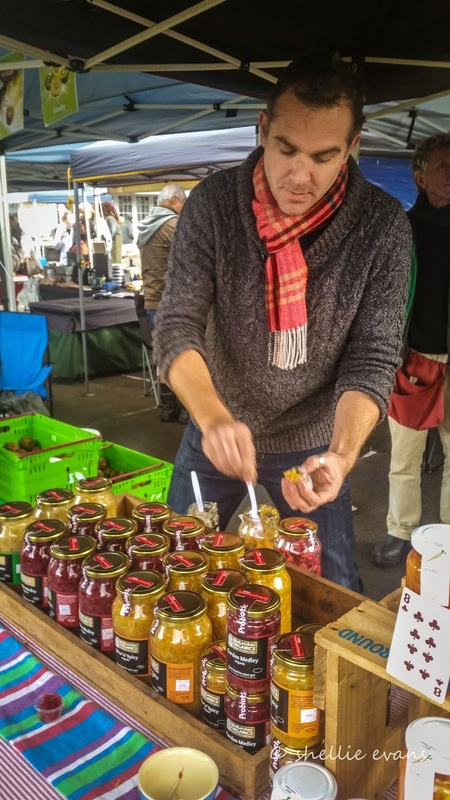 Pete was as busy as ever filling sample cups, talking to customers and replacing stock as fast as it was disappearing off the shelves. 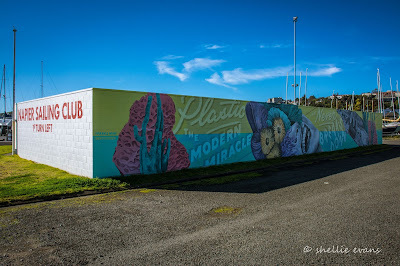 He has a large number of repeat customers who come each week to get their supplies and an ever growing group of probiotic convert-ees. 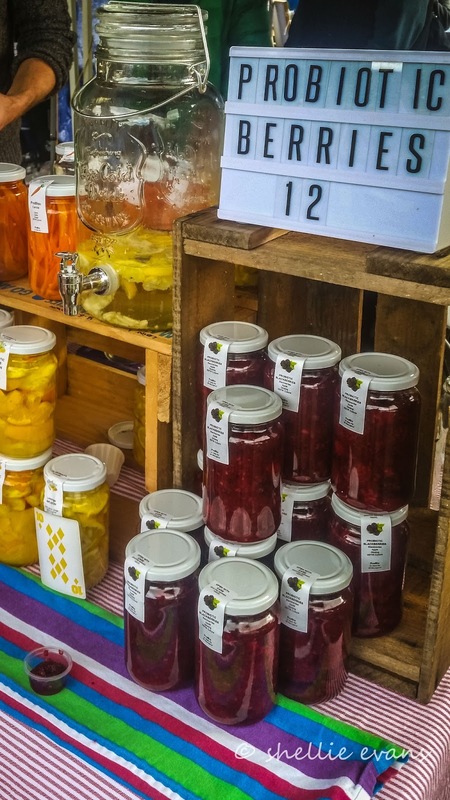 Probiotics are live bacteria and yeasts that are good for your health and especially your digestive system. 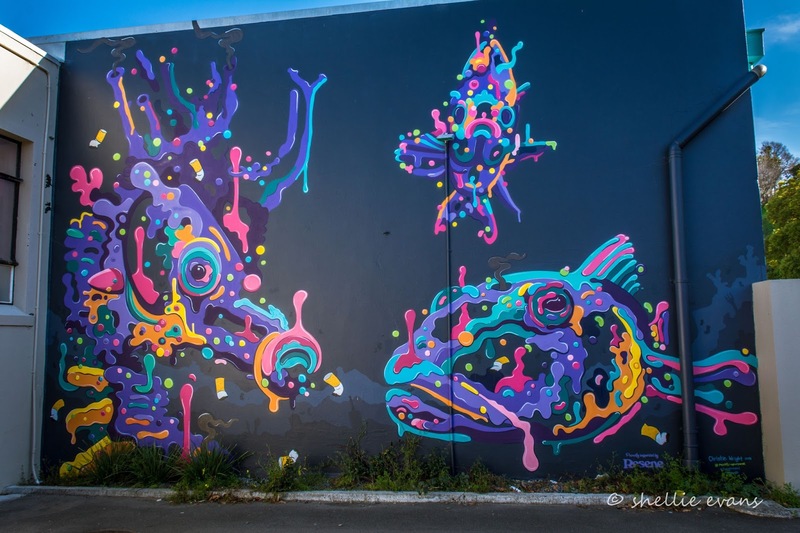 Usually we think of bacteria as something that causes diseases but your body is full of bacteria, both good and bad. 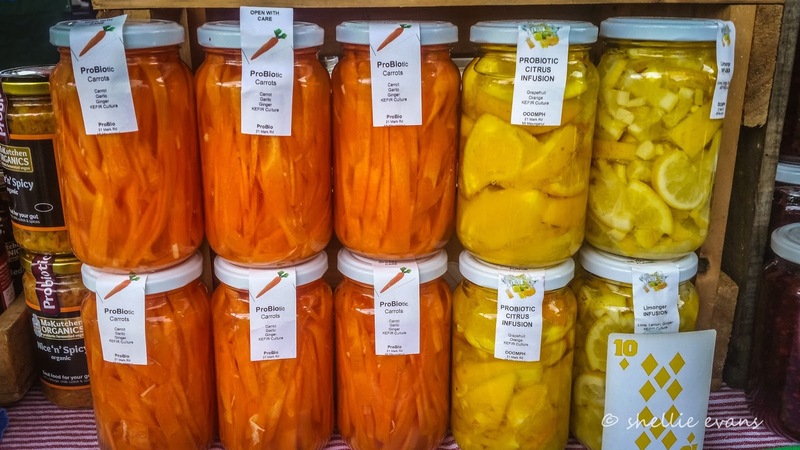 Probiotics are often called "good" or "helpful" bacteria because they help keep your gut healthy. 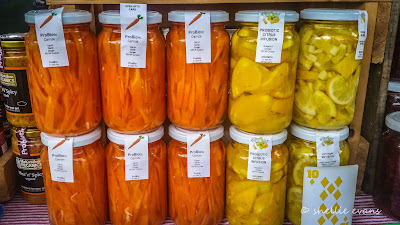 Probiotic products contain natural living strains of healthy bacteria as a result of the fermentation process, ie- sauerkraut, kimchi, miso, buttermilk, sourdough bread, along with many others, are all probiotic foods. 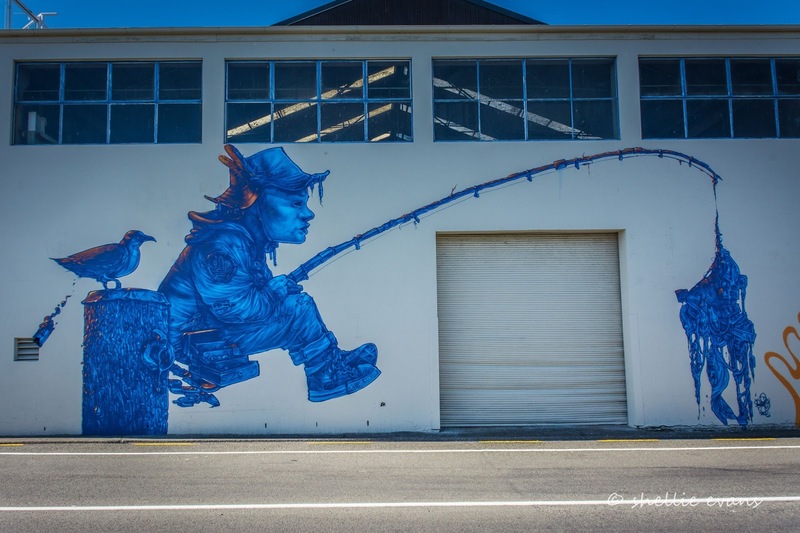 So if you're in Tauranga and visit the Farmers Market, don't forget to say hi to Pete for us. Along with Pete's 'ProBio' range of probiotics, there are many other fantastic stalls selling fresh products and produce, straight from the grower or producer. But, as with any farmer's market, get there early if you don't want to be disappointed, many stalls sell out quickly. ...along to see Mum at the Sunday Market. 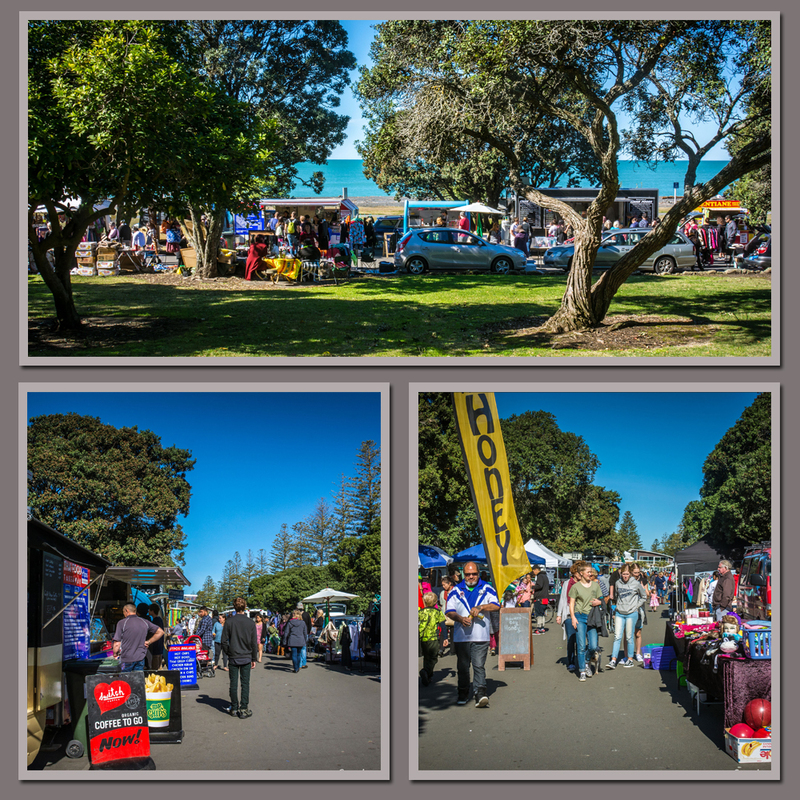 Mum has a long history with crafts and markets. She was a potter (and a very good one) right through my childhood and teenage years, supplying shops nationwide. 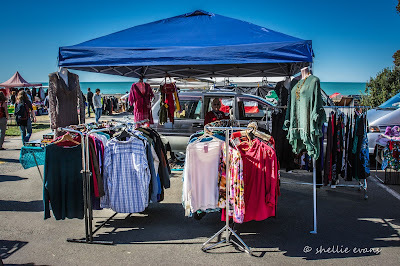 We, that's Mum, my sister and I, were once regulars manning her pottery stalls at A&P Shows, craft markets, street markets and anything else that came along. Mum has long given up pottery and many of the markets, she now sells pre-loved clothing at the Napier Market, and she loves it. 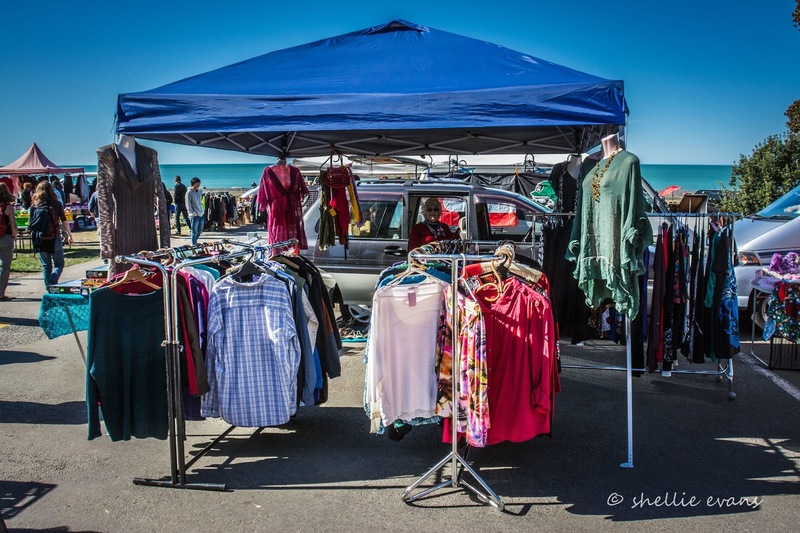 Yes, she sells a few items and makes a little pocket money, but that's not as important as the fun and friends she has at the market. 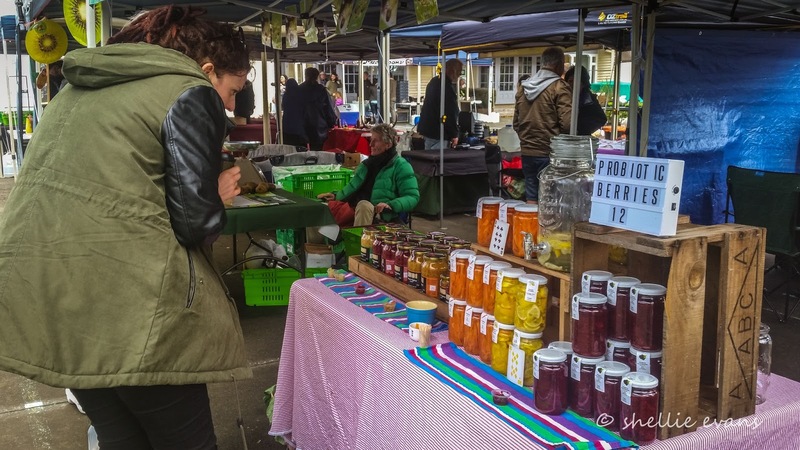 Mum is a people's person and she loves the personal contact and enjoys the weekly banter with stall holders and customers alike. 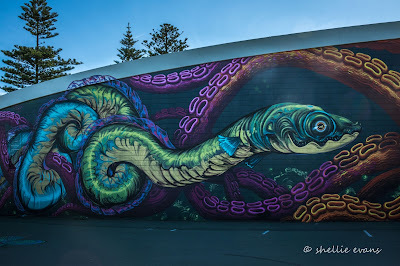 I can tell you she has way more energy (and patience) than me, that's for sure. Do say hi to her if you're visiting the Sunday Market. 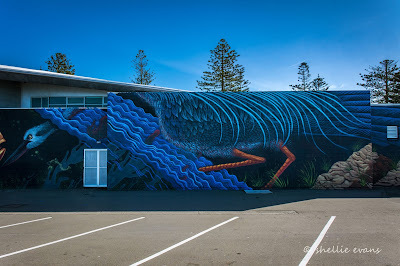 ....where, as expected, over half of the building was covered in stunning murals. 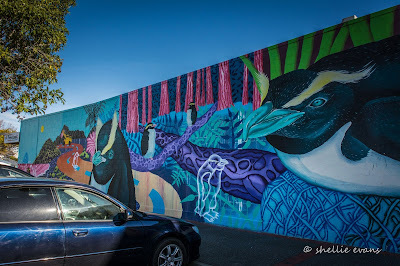 All in shadow. 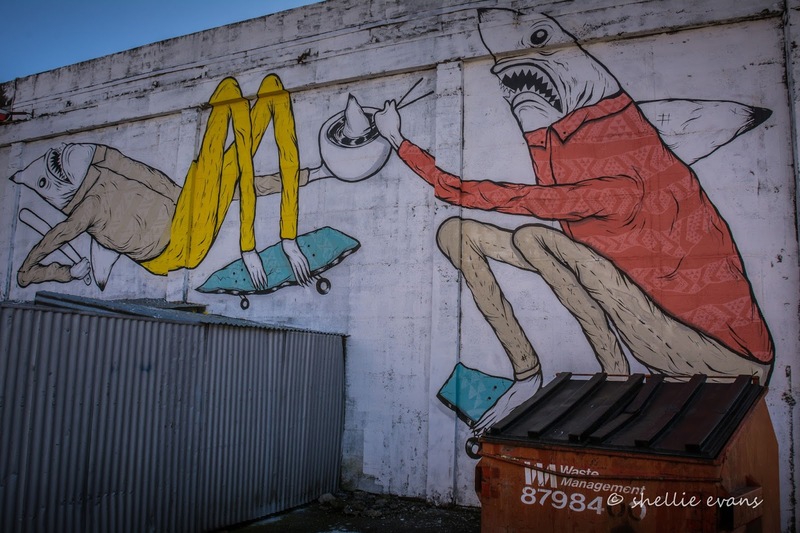 Oh well Shellie, make the best of it. 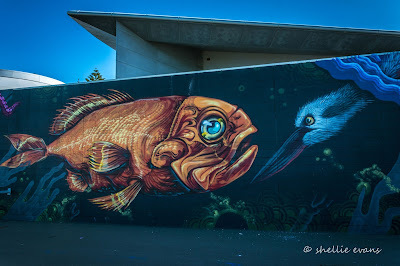 National Aquarium, Marine Parade- Marine Protected Areas- Interrelationship Between Species & Habits- there's a few! 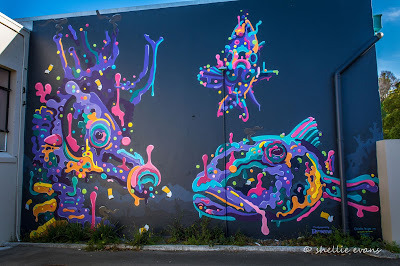 Aren't they just amazing? But wait, there's more. All the storm grates around the building have paintings on them too. After the aquarium I headed back into the city to tackle the remainder of the murals. 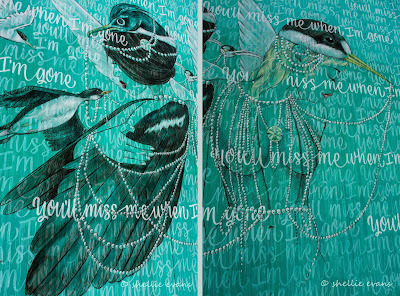 And this was my favourite I decided; I love the colour and the way the artist has incorporated Napier's Art Deco theme into the painting. Look at the way the ladies morph into birds...or maybe the birds become ladies, and the touch of naughty nakedness too. 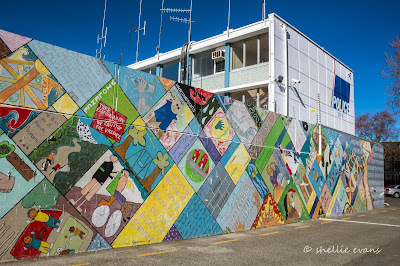 And down the same alleyway, a slight detour from the theme, older paintings on the wall alongside the Police Station. 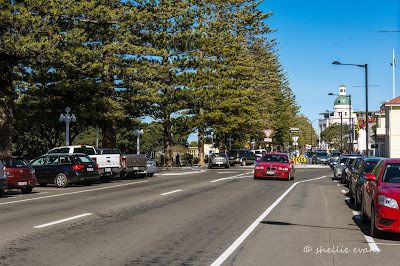 Then it's a final drive to the other side of the city, just as the sun is dropping behind the hill. It's been a long day. 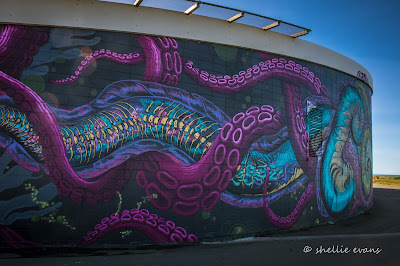 ...although I could have captured him in a more flattering position, while he wasn't looking. 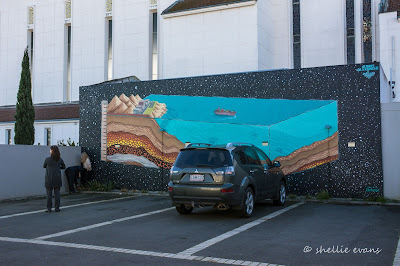 I think he's moving the stones the model is standing on. 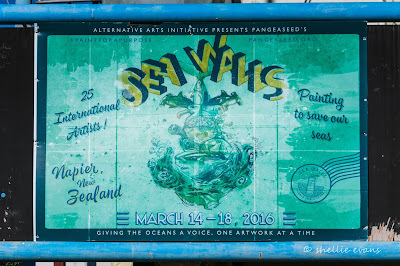 And that was the Napier's Sea Walls project; all 31 'Murals for Oceans'. 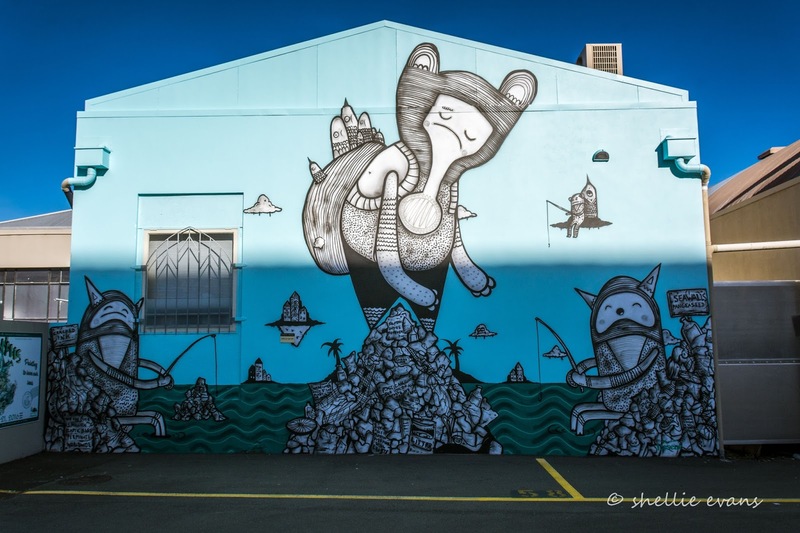 What a fantastic collection of amazing artworks by some very talented artists. Click on the link if you want to know more about the PangeaSeed Foundation, the organisation behind the worldwide 'Sea Walls' movement. 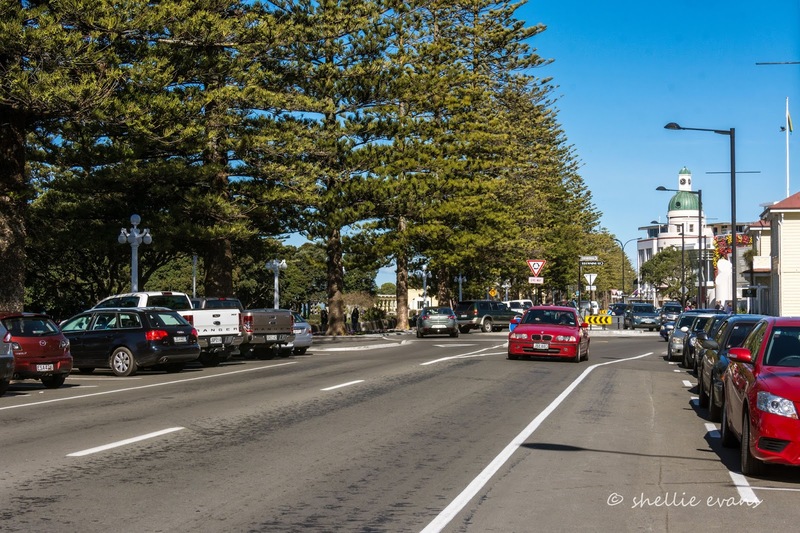 The busy time has continued, with a couple of hiccups along the way. 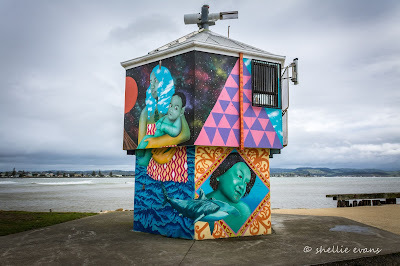 I writing this from, would you believe, Sulphur Point in Tauranga. 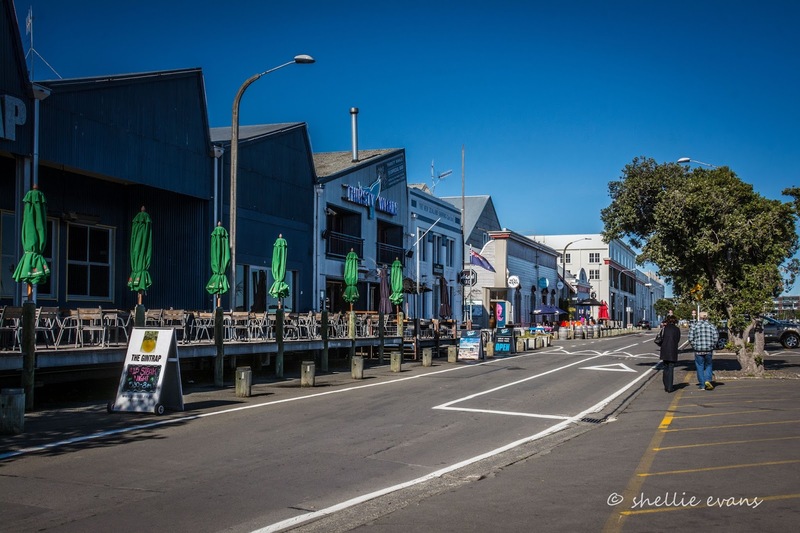 Yes, we're back in town for a few days. 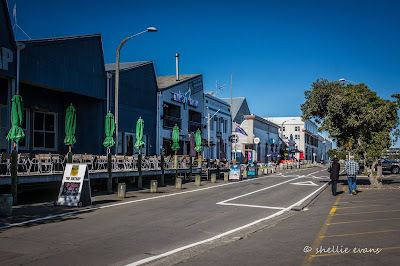 We had a repair job on the van that needed to be done and it worked out better to fit it in after our Napier visit rather than in the middle of it. 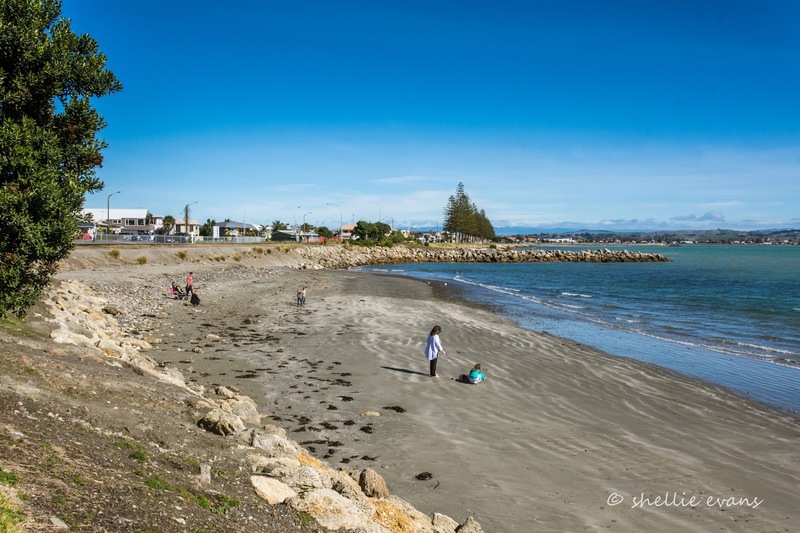 And it's given us another chance to see the family and catch up with friends again. 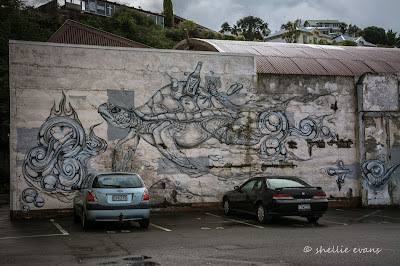 Only trouble is, the rain heard we were visiting too! 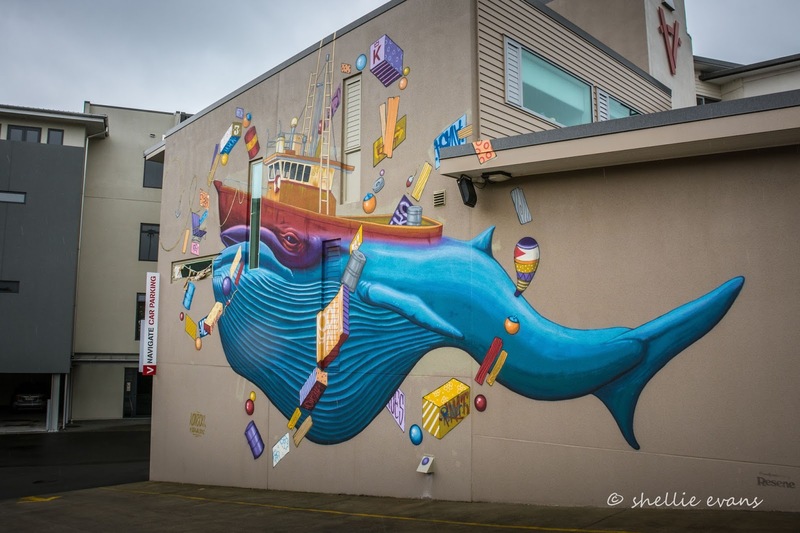 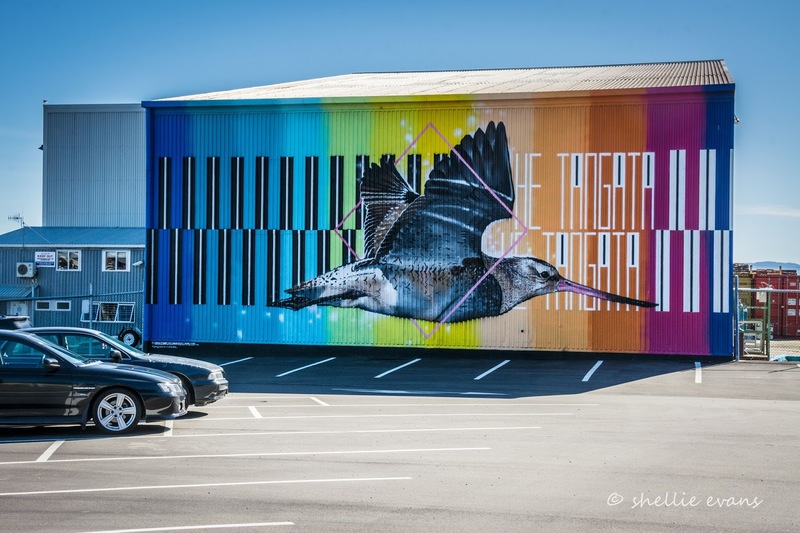 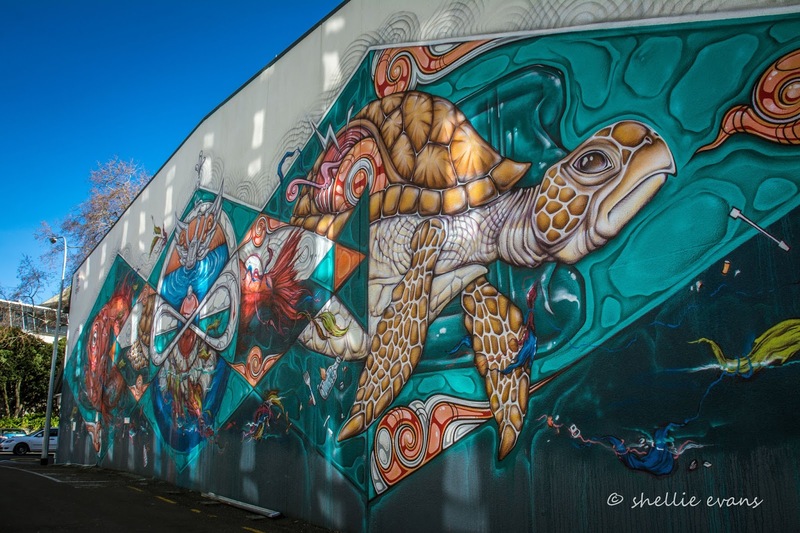 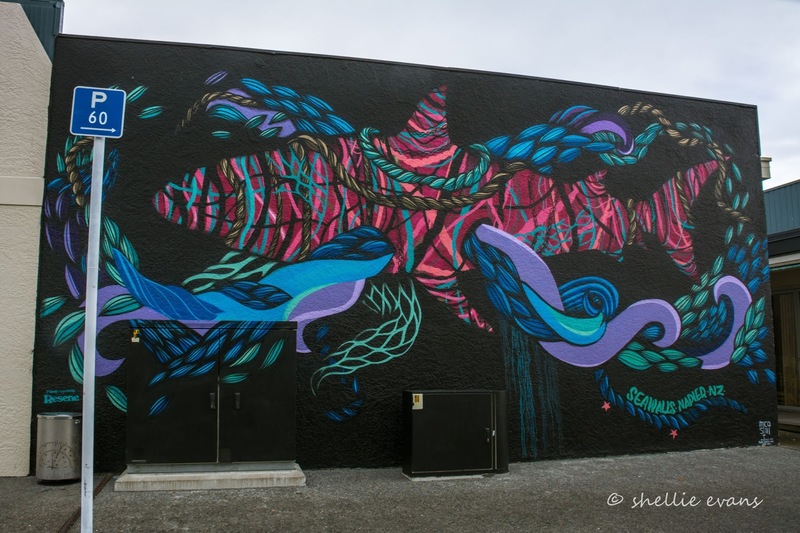 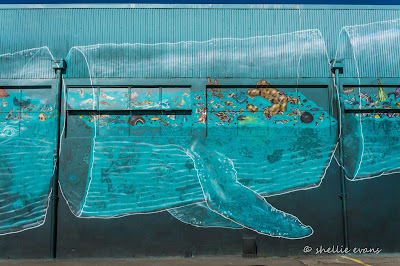 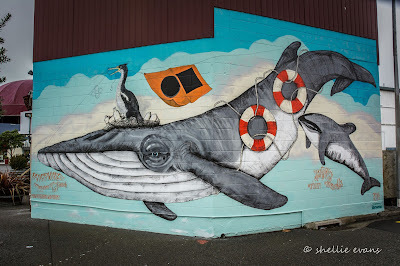 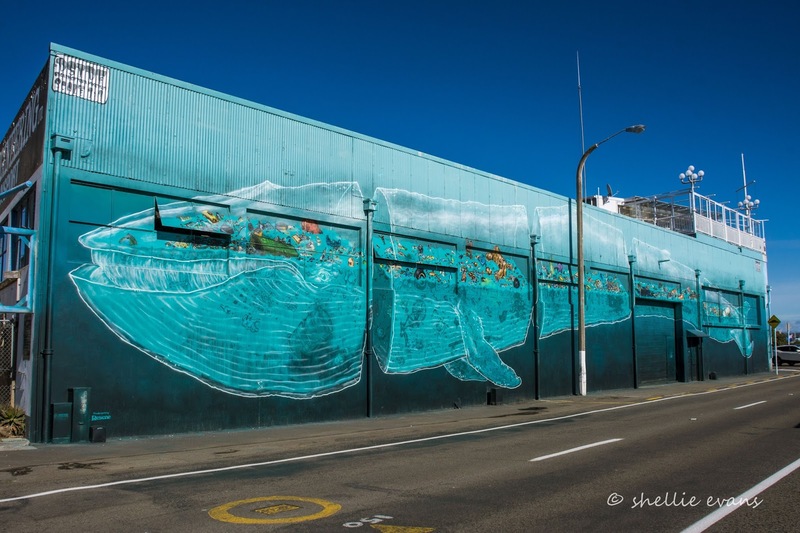 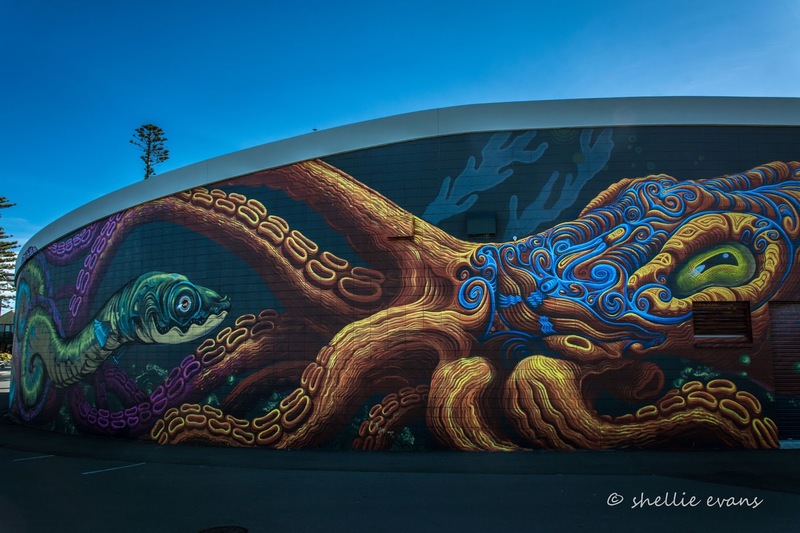 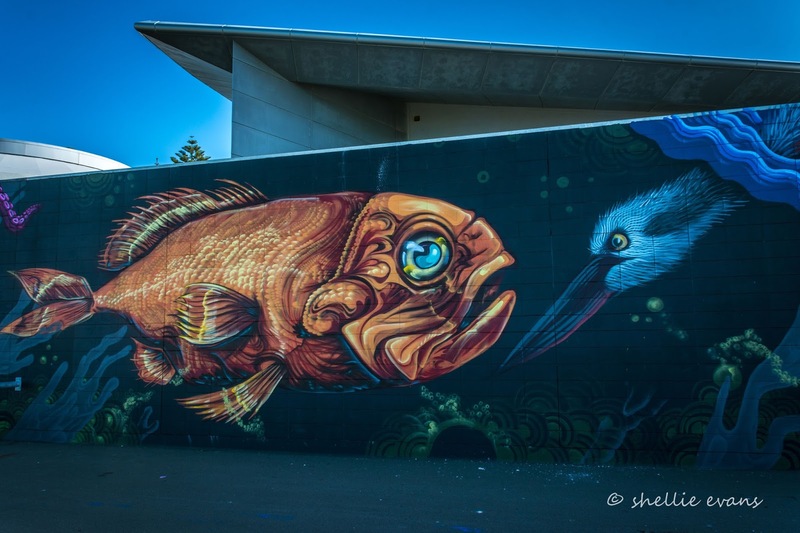 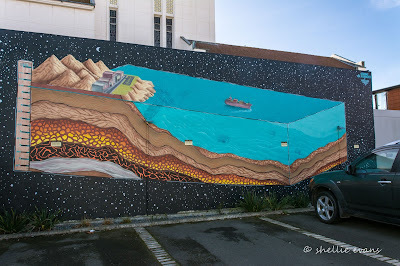 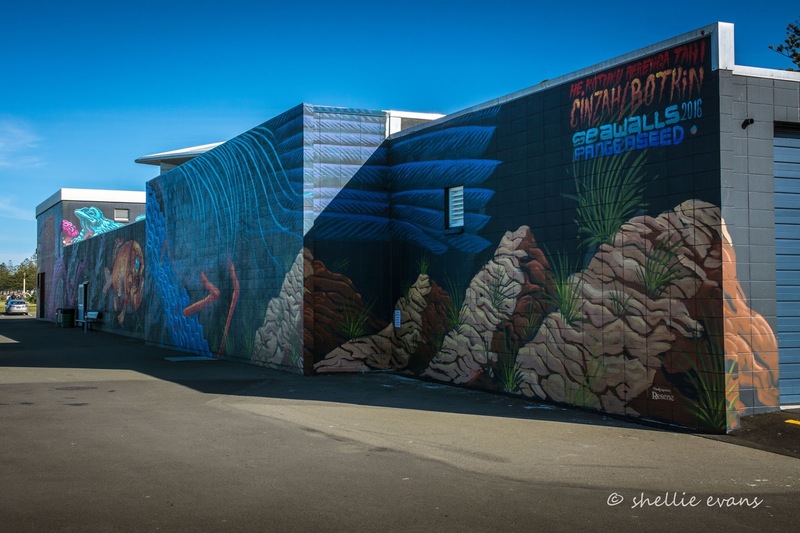 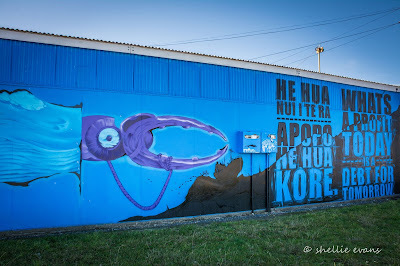 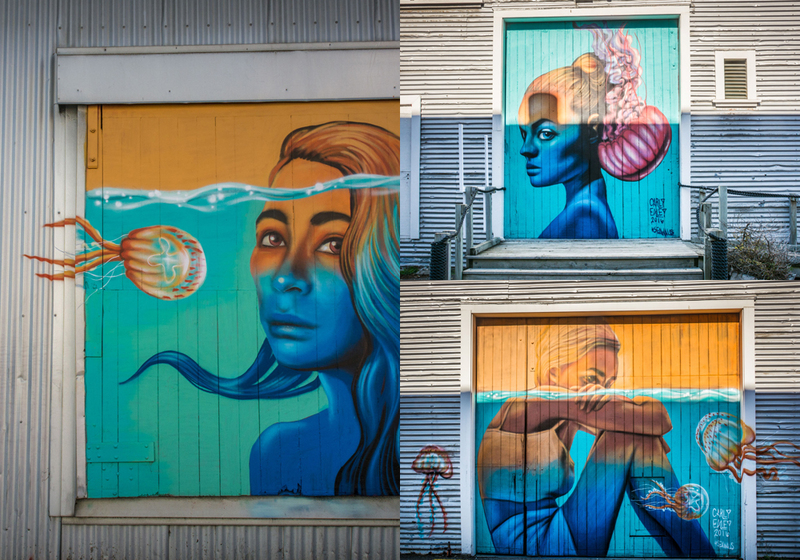 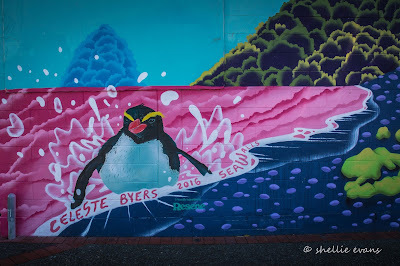 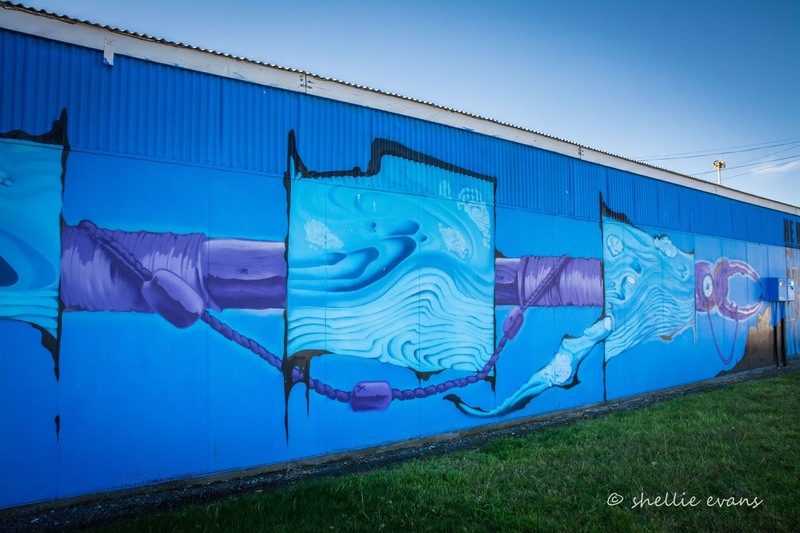 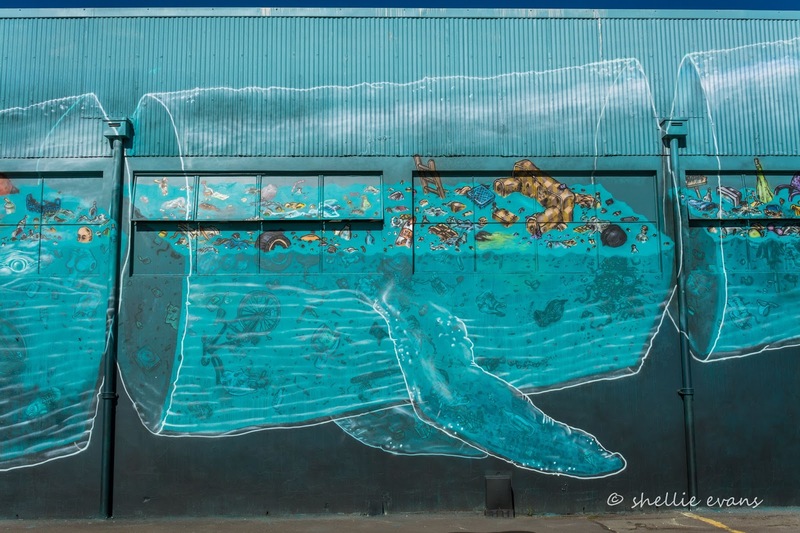 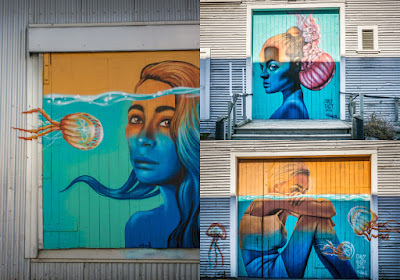 As mentioned previously, I did a photoshoot of the 'Sea Wall' murals dotted around Napier and Ahuriri before I left. 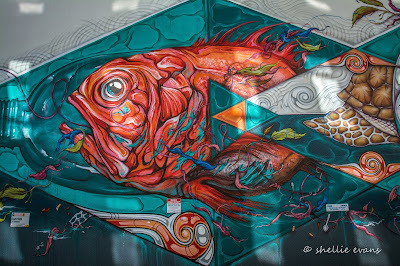 And I managed to capture every one of the 30 plus paintings, quite a mean feat if I must say so myself. 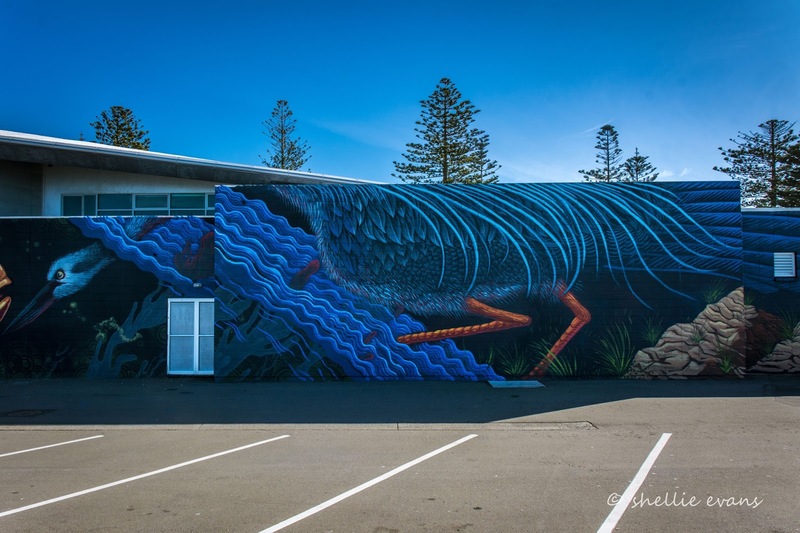 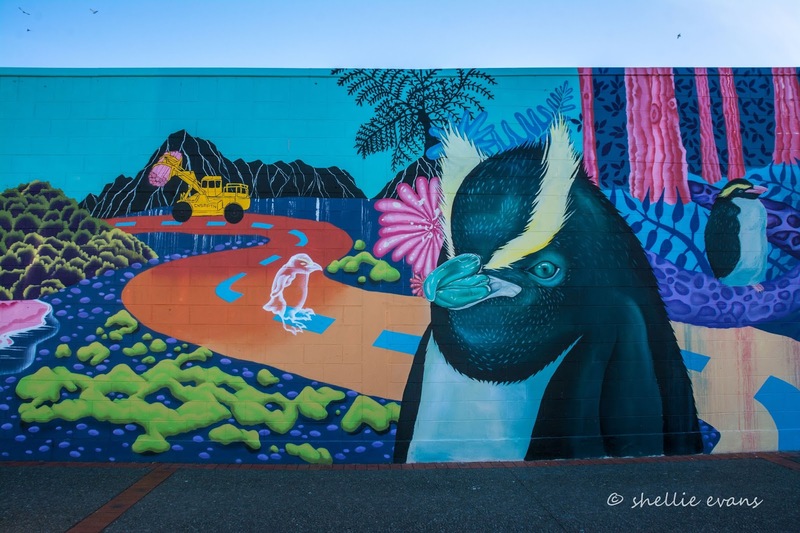 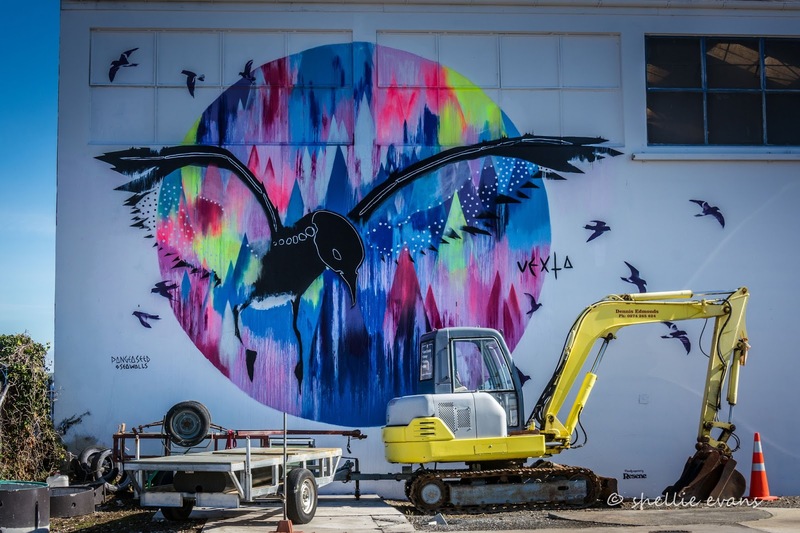 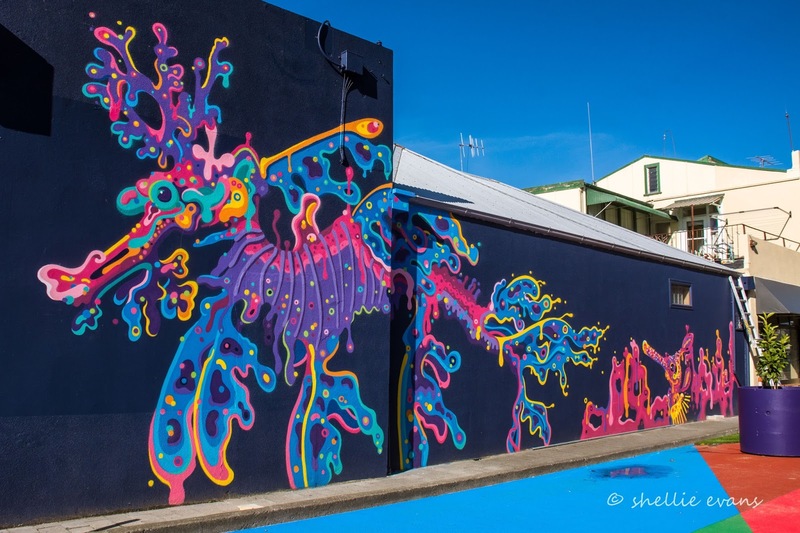 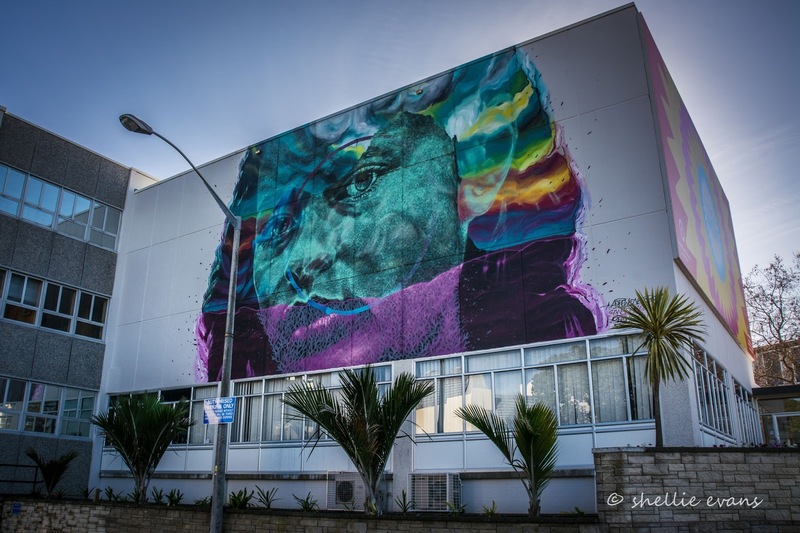 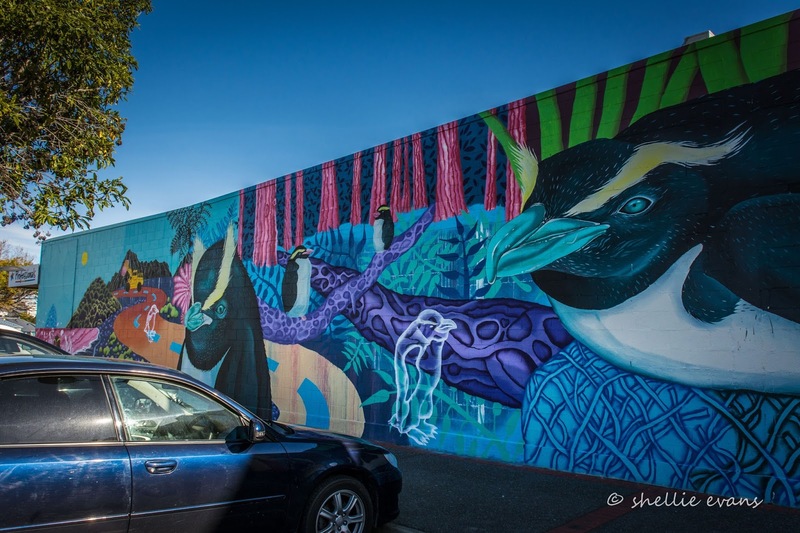 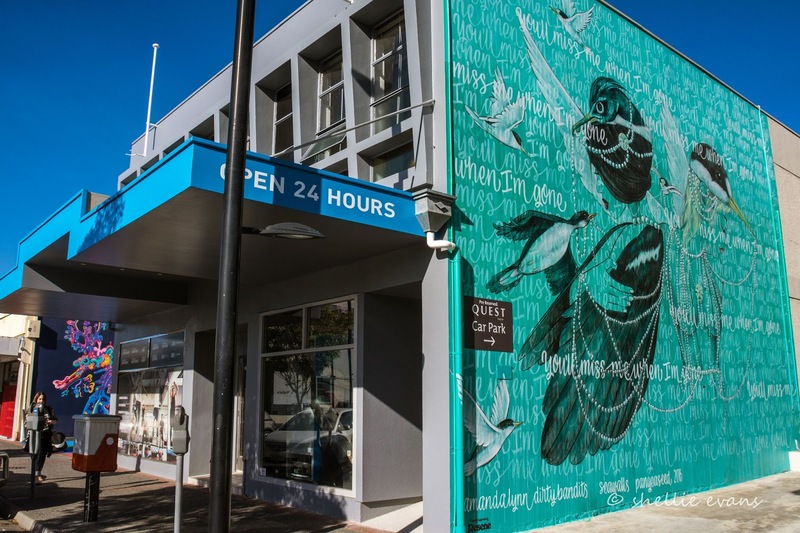 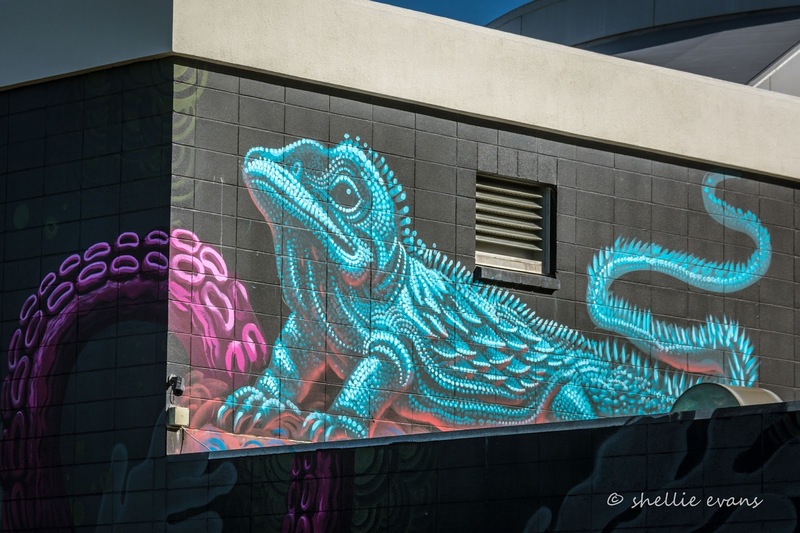 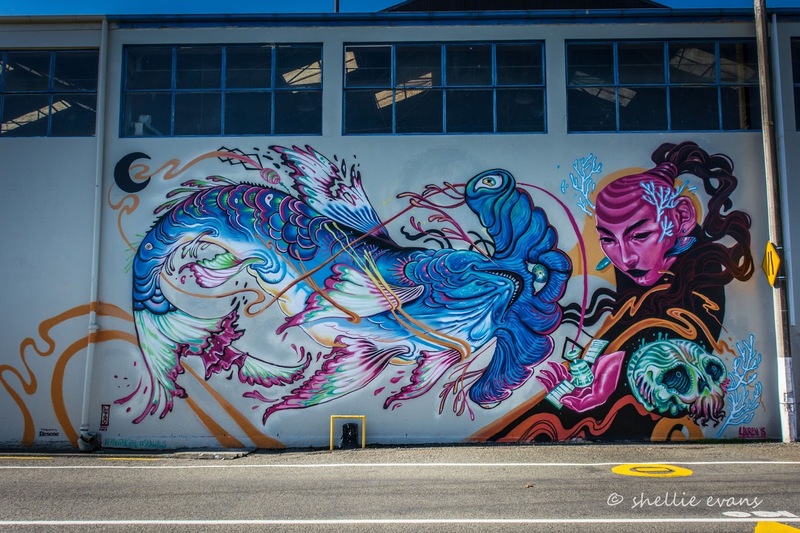 The large murals were painted on walls around Napier during a street art festival back in March. 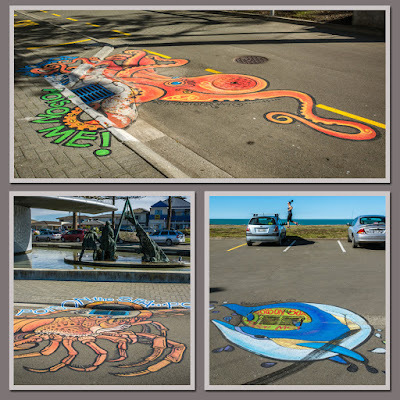 Their aim is to highlight marine environmental issues relevant to the local community. 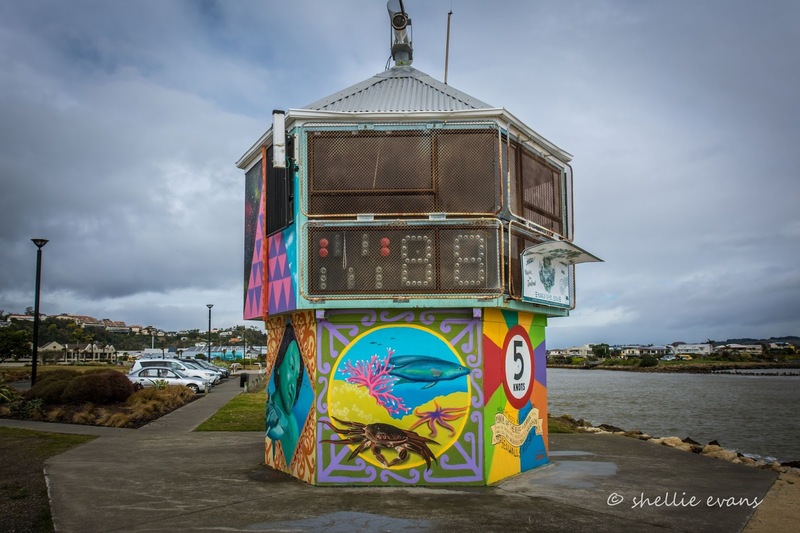 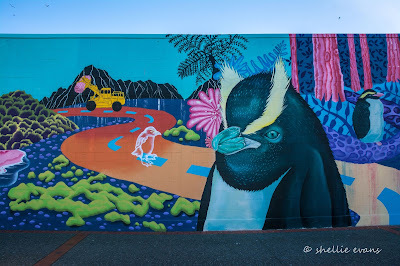 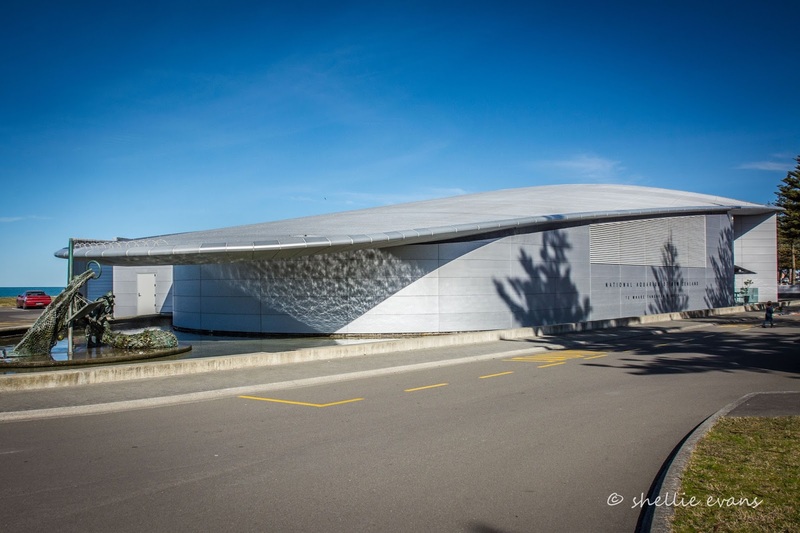 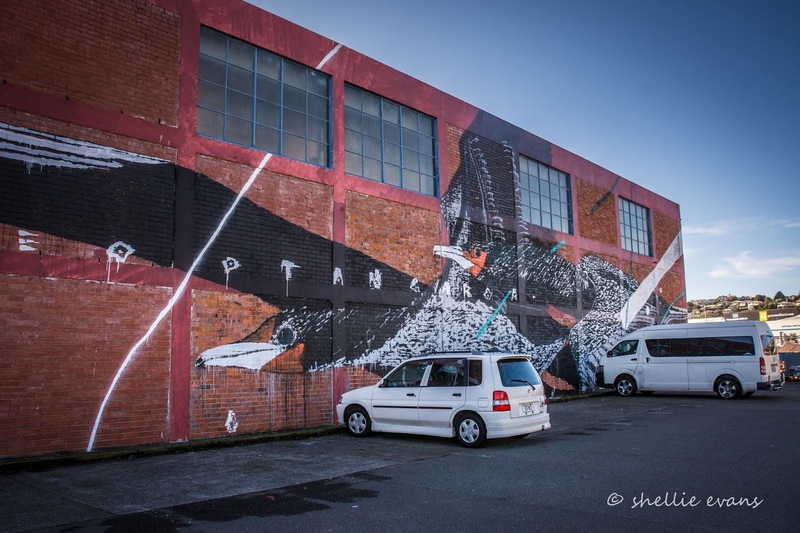 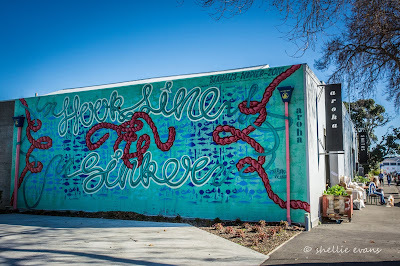 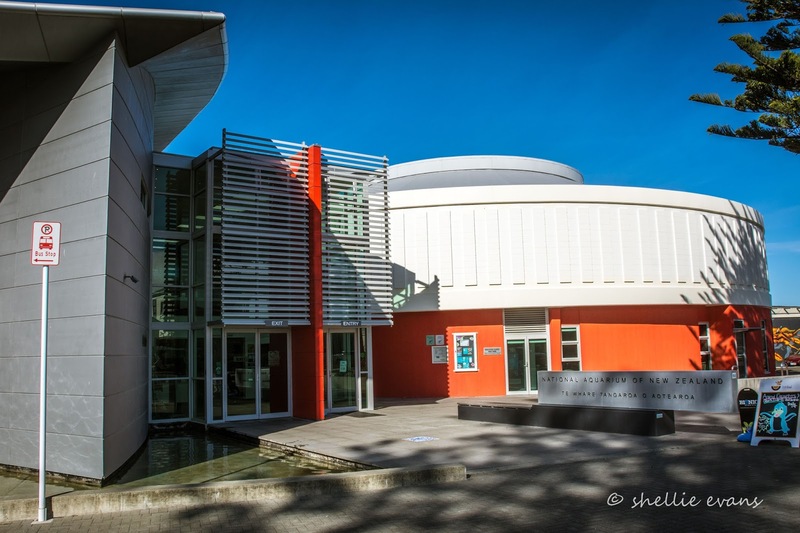 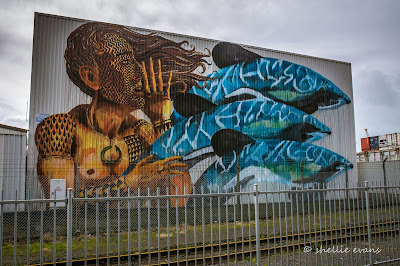 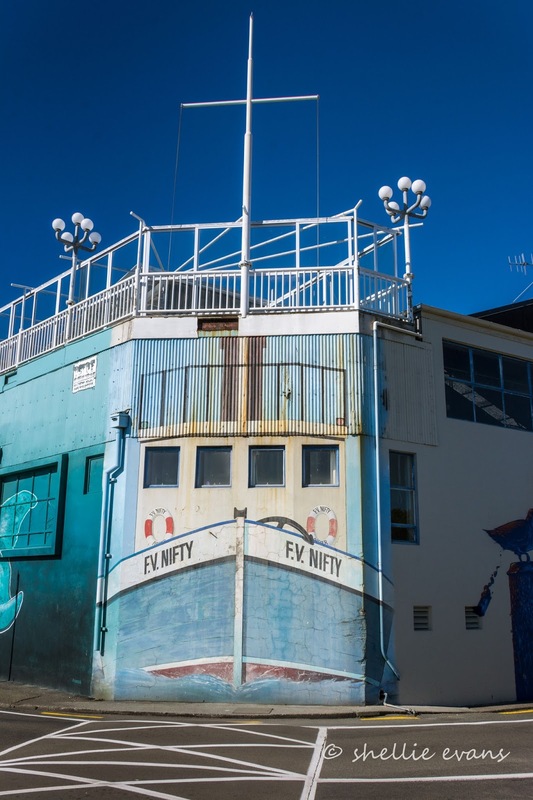 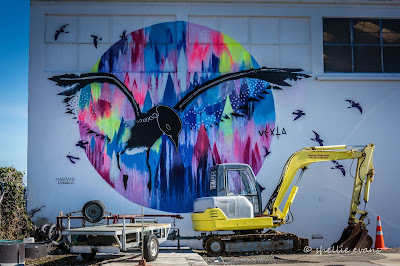 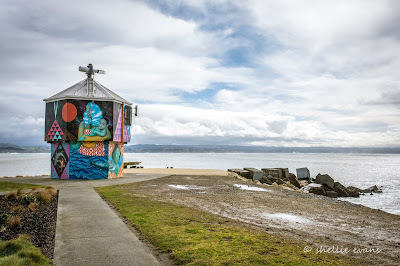 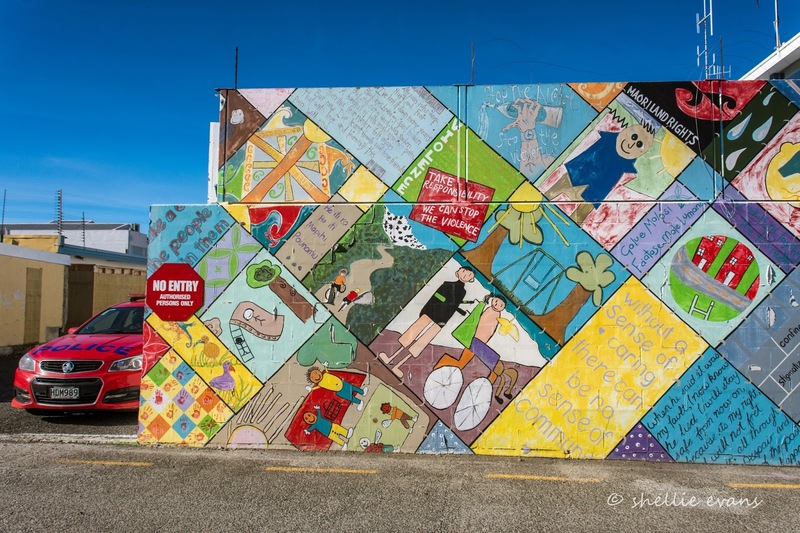 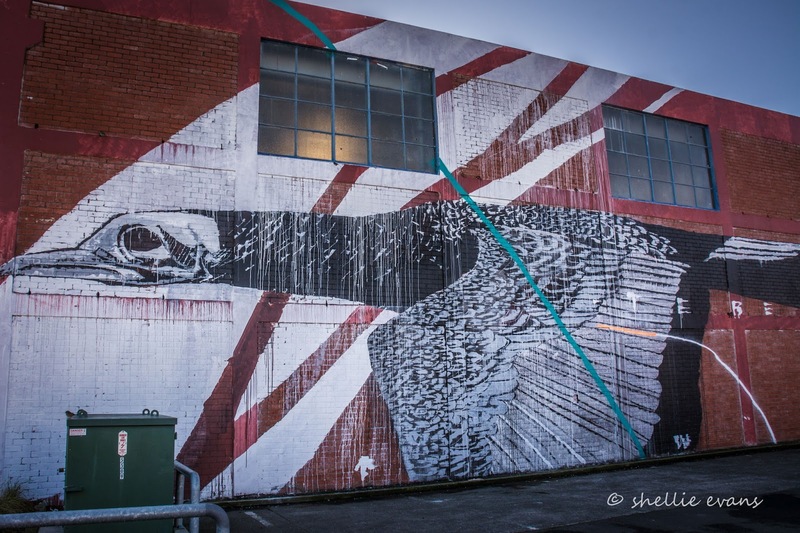 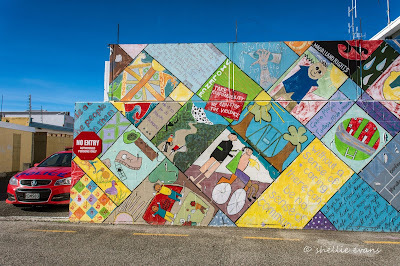 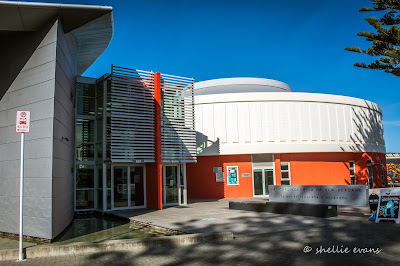 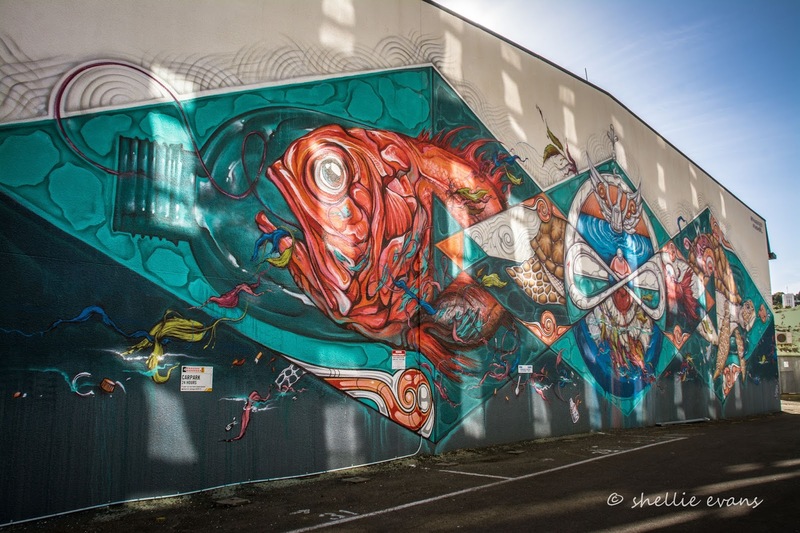 I started at the Napier Sailing Club, with the furthest west mural and then worked my way around Ahuriri, along past the Port, down Marine Parade to the Aquarium and then back to the many tucked down alleyways and on back walls of the inner city. 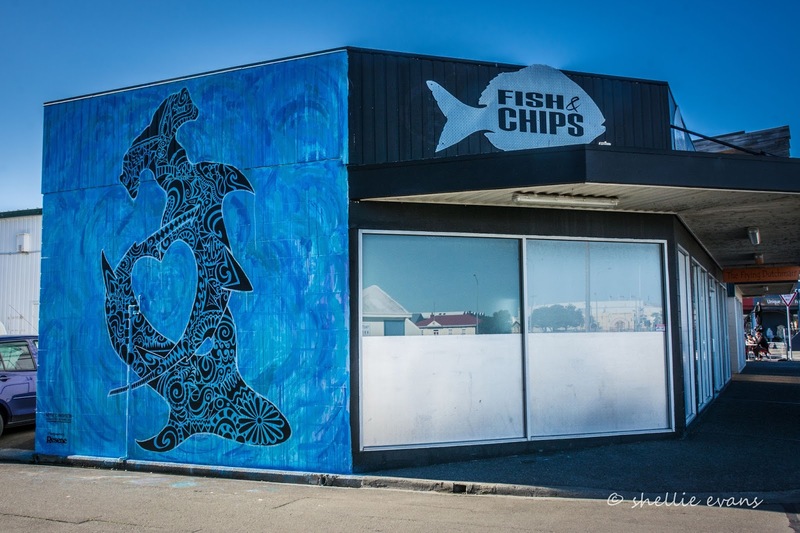 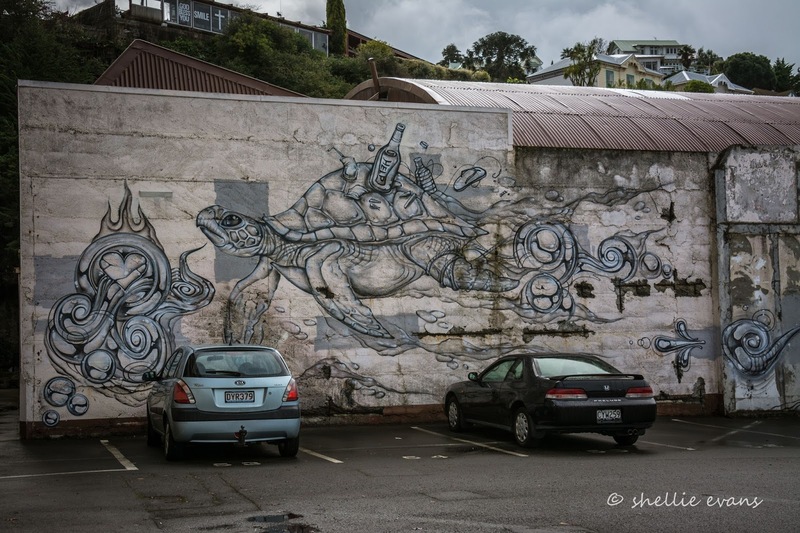 The next few murals are located on a number of the historic Ahuriri Port restaurant buildings around the Iron Pot. 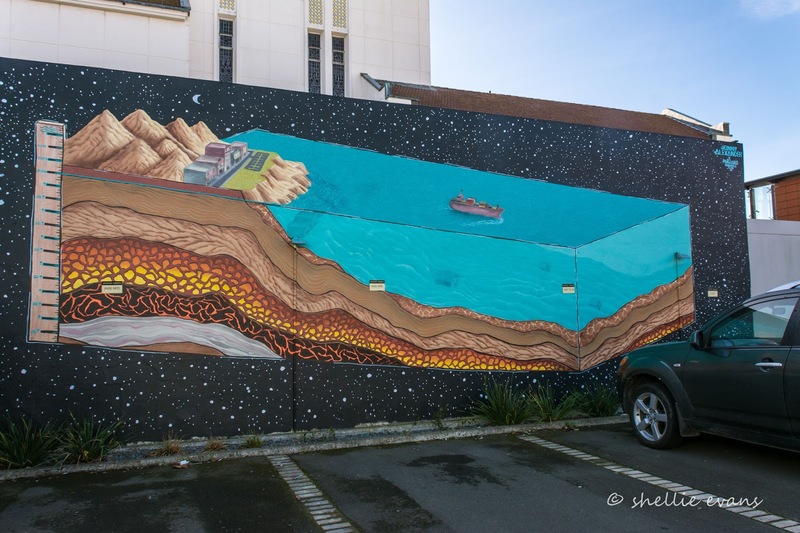 This one's not in the Sea Walls project, it's been there for a few years but it joins the one above and the one below together quite nicely. 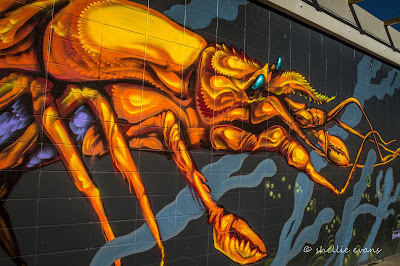 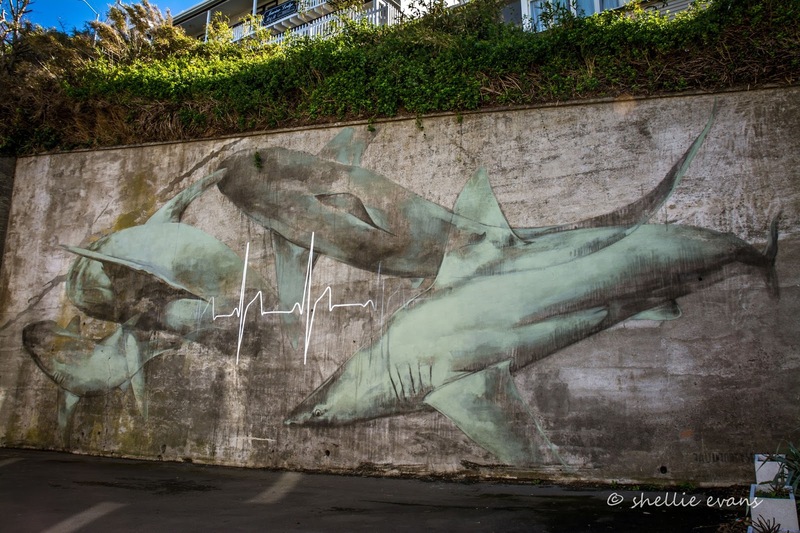 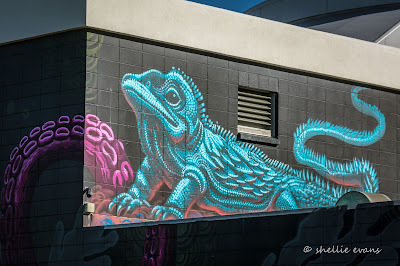 And the final one for this blog as I head down Marine Parade to the National Aquarium where, for obvious reasons, there's sure to be some fantastic murals.